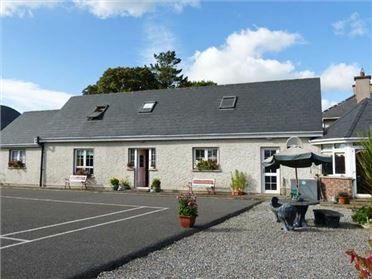 72 Clifden Glen is a lovely, detached cottage situated in the Clifden Glen Holiday Village, one mile from Clifden, County Galway. 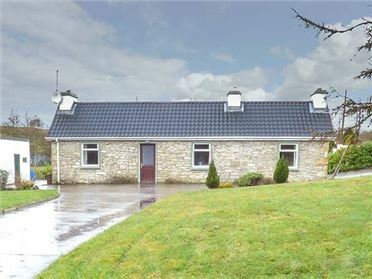 Sleeping six people in three bedrooms this property has a double bedroom with en-suite shower room, a family room and a single, as well as a bathroom. There is also an open plan living area. Outside, there is off road parking for one car, a shared lawned garden and a private decked area with furniture. The site has a children's playground, mini golf and tennis courts for guests' use. 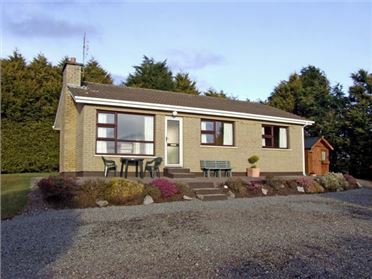 Situated on a 192 acre site, surrounded by countryside, 72 Clifden Glen is ideal for families and friends alike. 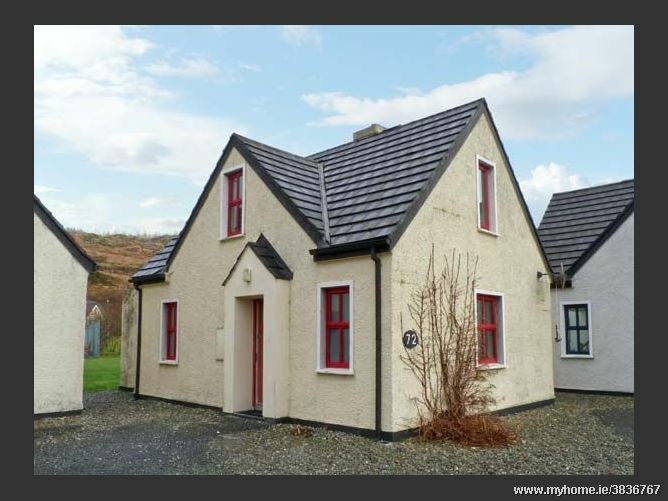 Three bedrooms: 1 x ground floor super king-size double with en-suite shower, basin and WC, 1 x single, 1 x family room with 1 double and 1 single. Bathroom with bath, shower over, basin and WC. 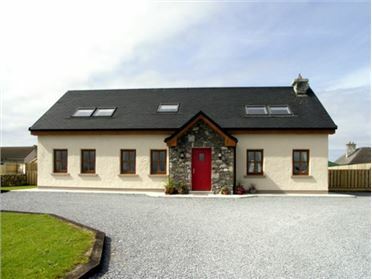 Open plan living accommodation with fitted kitchen, dining area and sitting area with open fire. Electric storage heating with open fire. Electric oven and hob, microwave, fridge, washing machine, TV with Free-to-air channels, DVD, selection of books and games. Fuel, power and starter pack for open fire inc. in rent. Bed linen and towels inc. in rent. Cot and highchair. Off road parking for 1 car. Additional roadside parking available. Shared lawned area to rear with private decked area and furniture. Use of children's playground, mini-golf and tennis courts on site. Sorry, no pets and no smoking. Shop and pub 1 mile. On-site pub open July and August only.